Women of the world may speak different languages, but we all use the same tone. In this blog, I plan to examine the lifestyle of women from five different regions of the globe, one country in each post. In this post, we’ll take a short trip to a large Middle Eastern power. 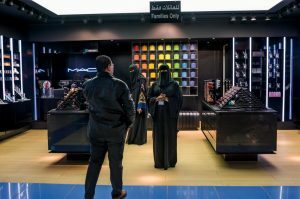 Saudi Arabia: an Islamic kingdom stretching along the Arabian Peninsula governed by conservative laws— a culture so profound oil runs through its veins. In 2016, Saudi Arabia was ranked 141 of 144 countries in the Global Gender Gap Report— based on schooling, welfare, economic, and political involvement. Living as a female in Saudi Arabia remains structured, guided, and controlled by traditional Islamic values. Women abide by a male guardianship system; regulations that mandate women to have the consent of male guardians to complete daily tasks like opening a bank account or even obtaining a passport. Reading the discrepancies between American and Saudi customs as a woman, my hands instinctively clutch my sides. Are there similarities? Yes, but differences persist, highlighting the distinctions between two wealthy societies. In Saudi, women do not drive. Women do not interact with men outside their family unit. Women do not swim in public pools. Women do not drink alcohol. Women do not try on clothes while shopping. Women do not disobey laws that have governed their ancestors for centuries, despite an evolving world around them. 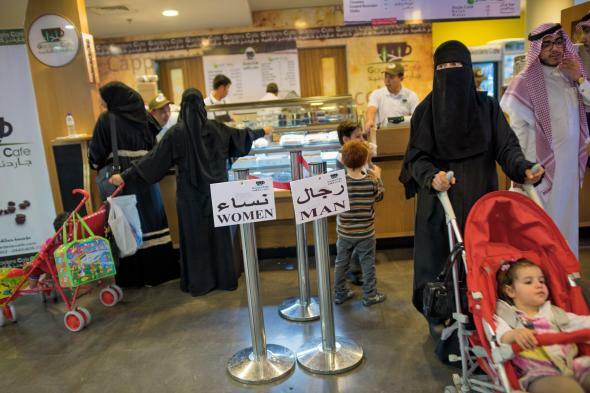 Restaurants serving men and women have eating areas with dividers. One area is for single men, and the other for women, children and any close male relatives. Males and females who are not related are not permitted to be in public together. Fast food restaurants employ gender partitions doubling as menu signs. Females who consider themselves devout, traditional Saudi’s do not view the aforementioned decrees as ill willed or limiting. Instead, these guidelines are seen as ways to keep their culture pure and in line with their Islamic customs. Women lead lives regulated by rules, but the guidelines are beginning to shift. Women have begun to speak out asking for relaxing of some centuries old traditions. In 2015, women were able to run and vote for the first time in Saudi elections, yet only 130,000 females voted alongside 1.35 million male. In 2017, King Salman bin Abdulaziz Al Saud began allowing women to receive education and health care without the consent of her male guardians. Women can now represent themselves in court without the presence of a male guardian and participate in workforce as Saudi works to expand its economy. 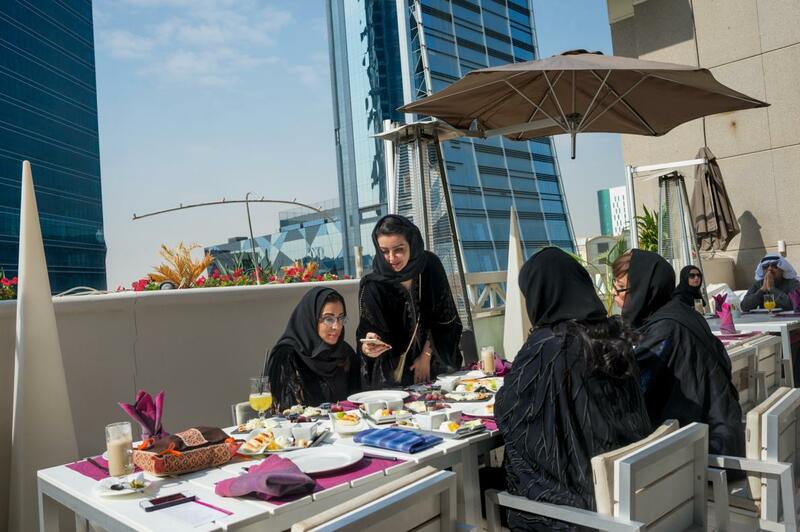 In a time of modern feminism, Saudi women have begun to question how to maintain their heritage, but also adapt to the present. 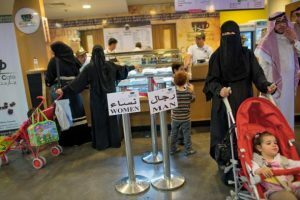 Despite ongoing global shifts towards modernization and secularism, Saudi men and women have remained sheltered, and untouched by time. The resistance to change, has left Saudi women at a crossroads— religion and country or liberty and equal rights. 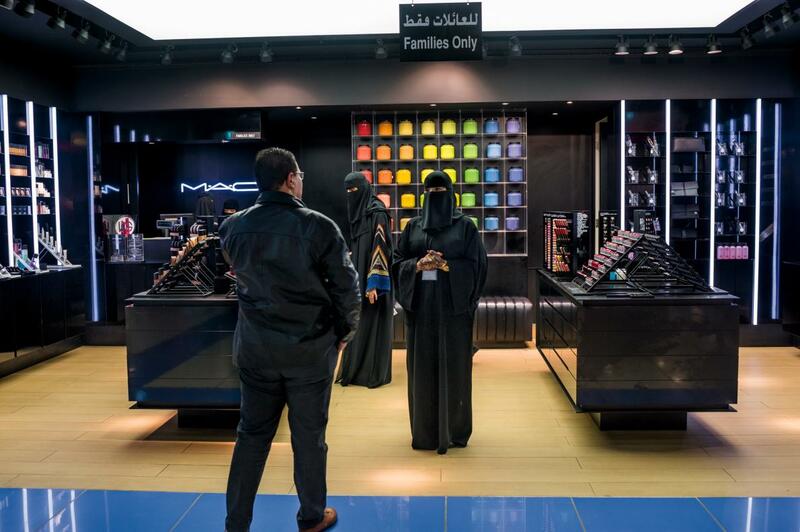 With a culture so beautiful, guided by religion and prayer, Saudi women regard their lifestyles as necessary for the kingdom and more importantly, for Islam, but at what cost? Gorney, Cynthia. “The Changing Face of Saudi Women.” National Geographic, 19 June 2017, www.nationalgeographic.com/magazine/2016/02/saudi-arabia-women/. Accessed 4 Sept. 2017. “Saudi Arabia’s women vote in election for first time.” BBC News, BBC, 12 Dec. 2015, www.bbc.com/news/world-middle-east-35075702. Accessed 4 Sept. 2017. “Seven things women in Saudi Arabia cannot do.” The Week UK, 27 Sept. 2016, www.theweek.co.uk/60339/nine-things-women-cant-do-in-saudi-arabia. Accessed 4 Sept. 2017. Sharman, Jon. “Saudi Arabia to let women work and study without man’s permission.” The Independent, Independent Digital News and Media, 6 May 2017, www.independent.co.uk/news/world/middle-east/saudi-arabia-male-guardianship-relax-women-work-study-gender-equality-a7721641.html. Accessed 4 Sept. 2017. This was really informative, I didn’t know that much about women in Saudi Arabia I think you give a lot of good information that connects to the modern problems women face in this world. I think you did a nice job raising and getting at the debate between modernizing but then also keeping tradition and culture I think this is an important topic in today’s world. Maybe you could explore this more? Other examples of it. Another angle I think would be interesting to pursue is modern feminism and what it means in the different countries around the world.